My oldest son was going into surgery so I wanted to make him a special shirt to help him through the process. 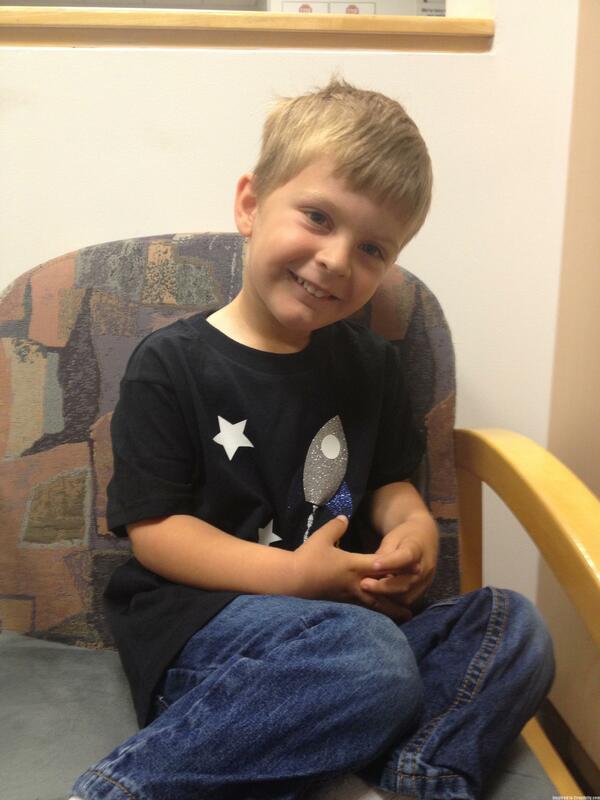 He absolutely loves space and rocket-ships, and some of his favorite shirts are glow in the dark. I thought they would be a great paring. 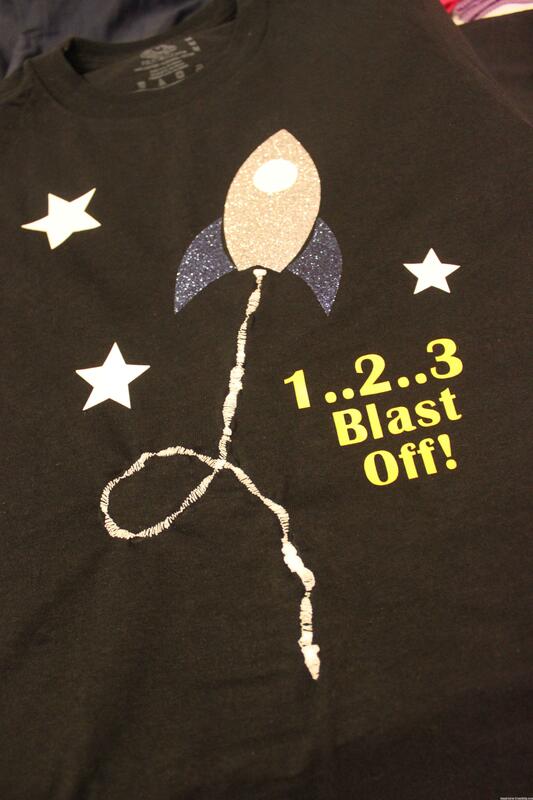 First I cut out the rocket from two different colors of glitter heat transfer vinyl. 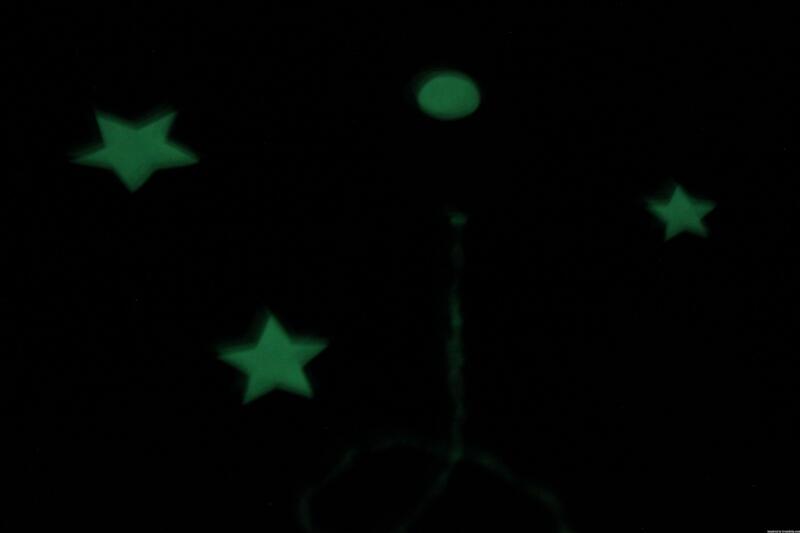 Then I cut out the window and stars out of glow in the dark heat transfer vinyl. After that was the smooth heat transfer vinyl and ironing it all down. Once that was all done I set my sewing machine to a fancy stitch and stitched the rocket trail out of glow in the dark thread. This is close to how the glow in the dark heat transfer vinyl looks in the dark. As you can see the glow in the dark thread doesn’t work very well, so if I were to do this again, I would do the smoke trail in glow in the dark heat transfer vinyl too. 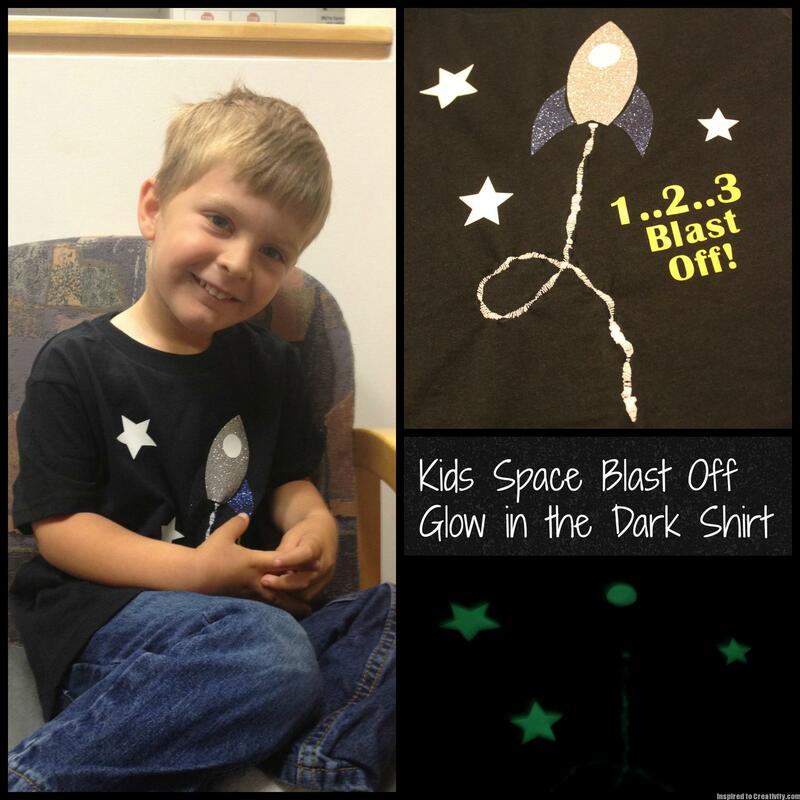 2 Responses to "Kids Space Blast Off Glow in the Dark Shirt"
That is really cool. Our kid loves space so much, too. Looks like you son loved it! Good job, thanks for sharing the instructions.